Never be too far from your favorite game or your lunch! 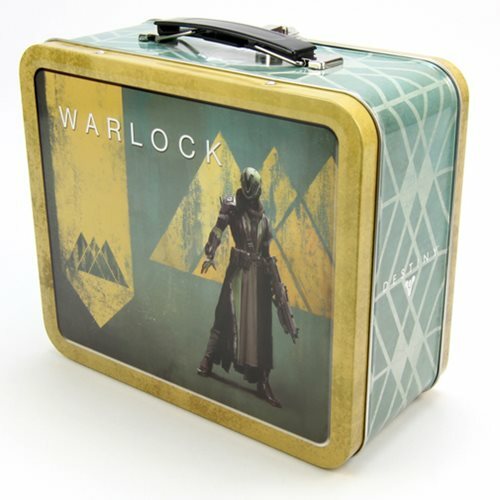 The Destiny Guardian Warlock Tin Tote Lunch Box features a patterned look along with an image of Warlock. The Destiny Guardian Warlock Tin Tote Lunch Box measures approximately 8 1/2-inches wide x 6 3/4-inches tall x 3 1/2-inches long. Ages 14 and up.